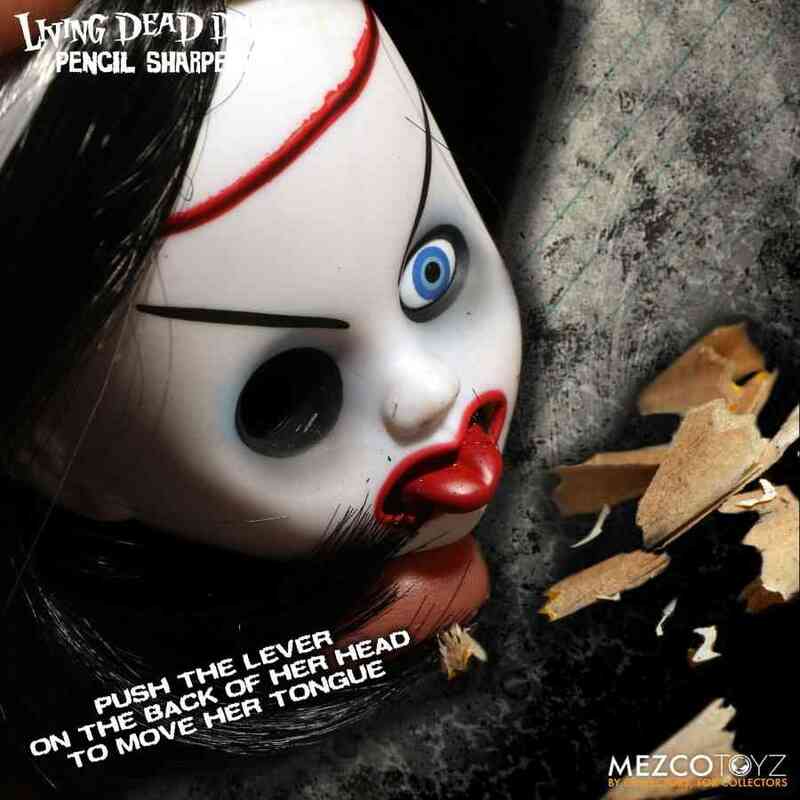 The Mezco Toyz Living Dead Dolls Pencil Sharpener is back due to popular demand but on this occasion it features the Bride of Valentine from the Living Dead Dolls Series 3 released back in 2002 and her severed head is back with a vengeance. 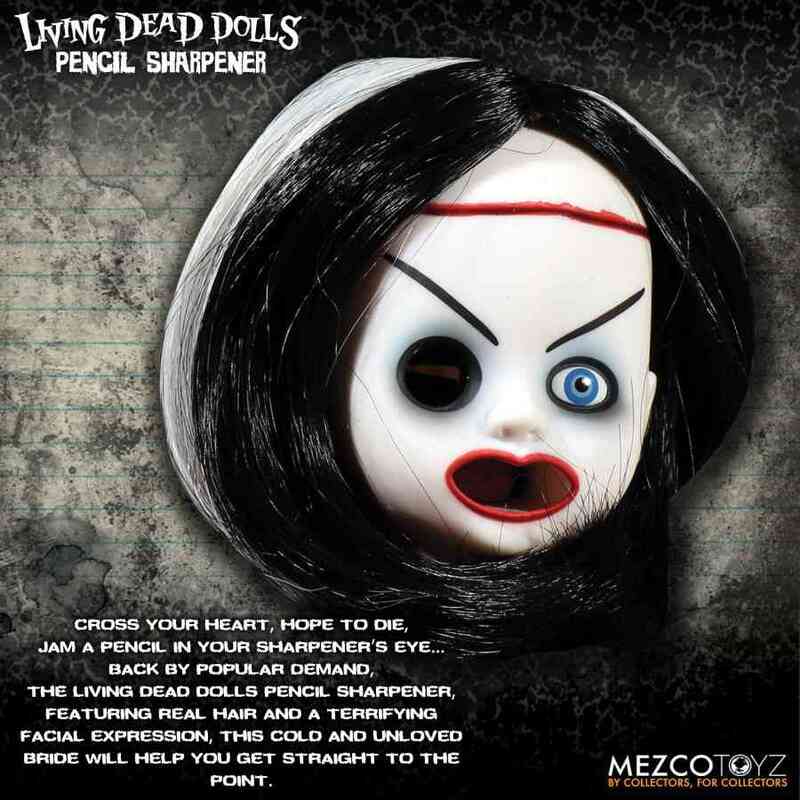 With a terrifying facial expression and featuring real hair, this bride is cold and unloved bride but she'll help you get straight to the point. 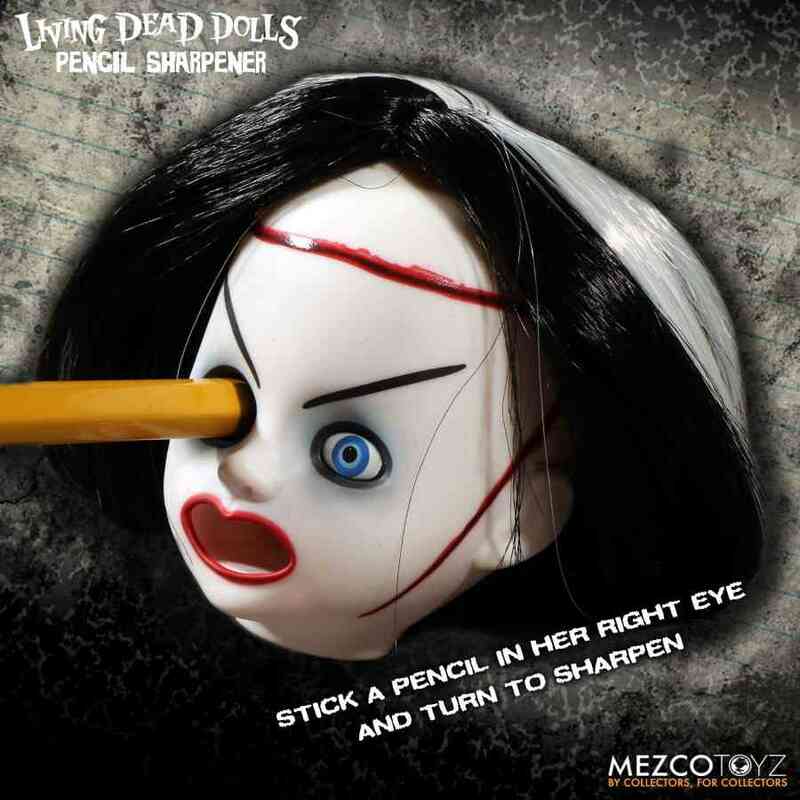 Stick a pencil in her right eye and turn it to sharpen and then push the lever that's on the back of her head to move her tongue and watch her spit out all of your unwanted shavings. 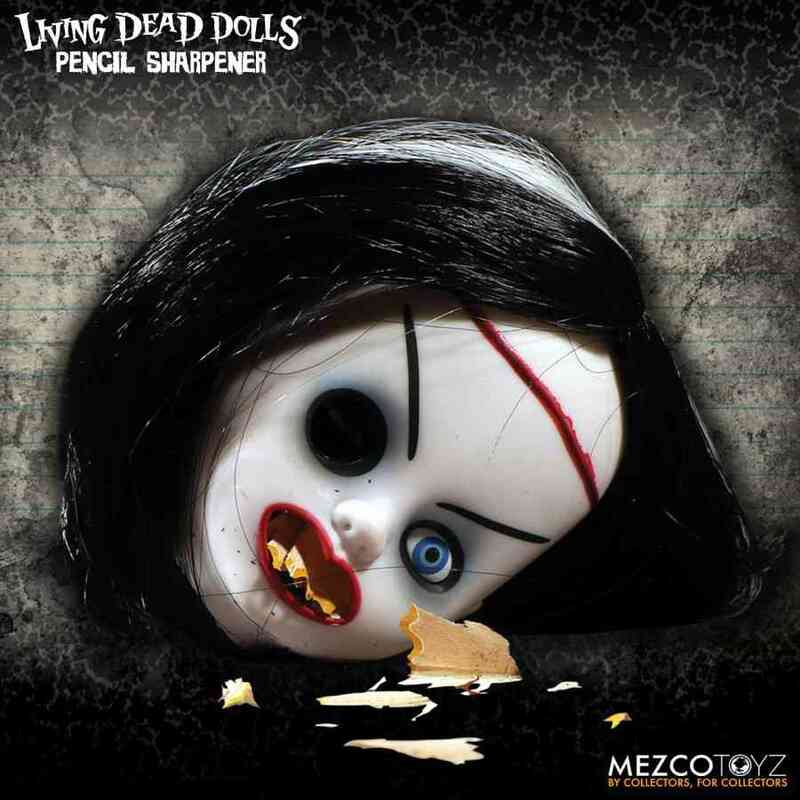 The Living Dead Dolls Pencil Sharpener comes packaged on a blister card and will fit neatly in your pencil case, backpack or bag and is sure to turn heads wherever she is needed.